There have been a lot of moving/morphing ink gimmicks that have come out recently but they mostly use thread or elasticated flaps, even magnets. If these gimmicks break you either had to really know how to (and be pretty good at) gimmicking cards. 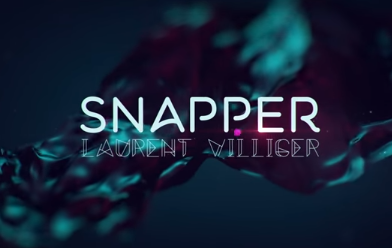 With Snapper you can have all of the visual goodness with a gimmick that will take you only about 2 minutes to make, with minimal arts and craft skills, it really is VERY easy to create. This means you will have the ability to make up lots of these gimmicks for different cards or purposes. With Snapper you have the easiest gimmick for this kind of effect! You will be able to make your own gimmick in less than 5 minutes and you have all the necessary material at home. The gimmick is very easy to make. The gimmick is completely invisible.